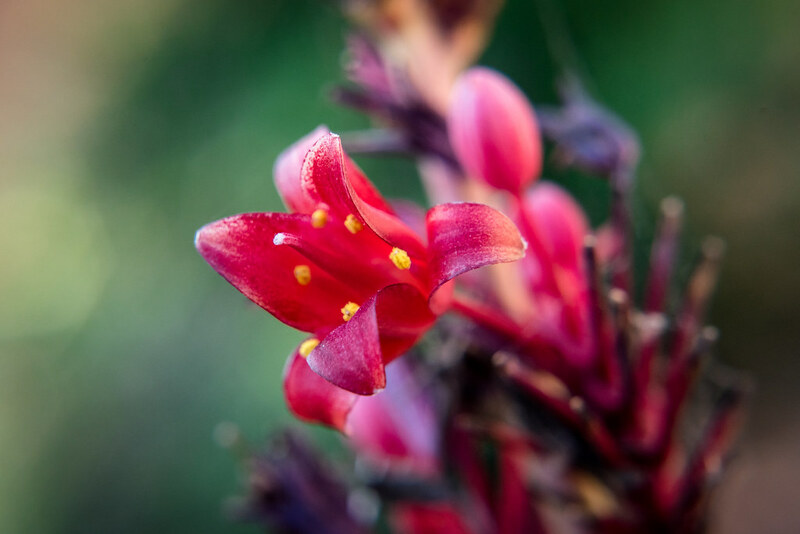 I thought this image of a red yucca flower might be a fun way to ring in the new year here on Weekly Fifty. It’s not a lily despite its similar appearance, because what you’re looking at is a very big image of a very small flower. I shot this using my D750, 50mm lens, and +10 close-up filter (f/8, 1/250, ISO 1400) which means the actual object is only about the size of a dime. What I found somewhat fascinating about this particular plant, other than all the beauty and detail contained in such a small entity, was that it was literally right outside my building at work. I took this picture on an unremarkable day outside an unremarkable brick office on the campus at Oklahoma State University. Before shooting the picture you see here I had walked around for about 10 minutes looking at trees, flowers, leaves, people, bicycles, and other subjects that I thought would make for interesting pictures but came back without any noteworthy images. Not that I took zero photos, but just that none of them were all that compelling to me. It just doesn’t look as interesting, and the flower punches through the middle of the frame without much else to help weave it into the larger tapestry of the image as a whole. The cross-hatches of brick and mortar in the background create an awkward sense of angular geometry which contrasts severely with the rich texture and curves of the flower. In short, this image just doesn’t work–at least not in the same way that the top one does. Your main pic is definitely the more aesthetically pleasing one. My mind just “Wowed” at it when I came up in my inbox. It just seemed that the green background made the crimson POP out even more!! Simple equipment and wonderful result as usual :-). You certainly have mastered the inexpensive close up filters. Simon, you can almost write a book on close filter photography. I noticed that you shot the 1st picture @ 1/250 shutter speed eliminating a need for tripod. I wonder how close you had to be w/ 10x filter? Did you use any external light? That is such a nice thing to say Narenda, and I am humbled that you would think I am good with those close-up filters. I still feel like I’m only beginning to learn! Regarding the shutter speed, I have learned that when shooting very very close subjects sometimes even 1/250 isn’t enough since even the slightest movement can result in motion blur when shooting that close. I don’t use a tripod (though I do have one) nor do I use external lighting, but one trick I have learned is to take lots of shots. 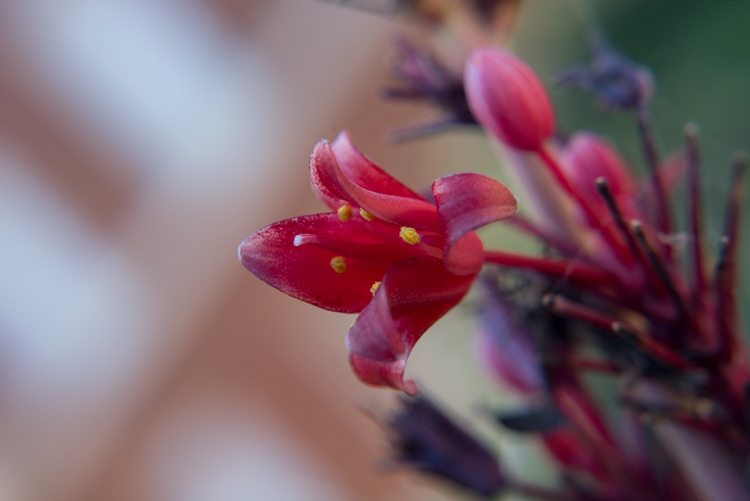 For every close-up picture that is sharp and in focus I have a dozen more just like it that are no good at all!